Vanessa Trump , wife of the eldest son of the president of the United States Donald Trump , asked on Thursday the divorce in a court in New York, after 13 years of marriage and five children. The couple were struggling with problems, apparently due to the long absence of 40-year-old Donald Trump Jr. , and his friends said the marriage would end in divorce, which they expected to happen soon, according to the New York Post. Vanessa Trump attended the Manhattan Supreme Court yesterday to separate from the president's eldest son, who has been at the forefront of his father's business since joining the organization to run for the 2016 presidential election. "The problems have been there for a long time. The two hoped to be together during the Presidency of Trump, but it has been difficult to solve their problems. He never is, "a source close to the couple quoted in the newspaper said. 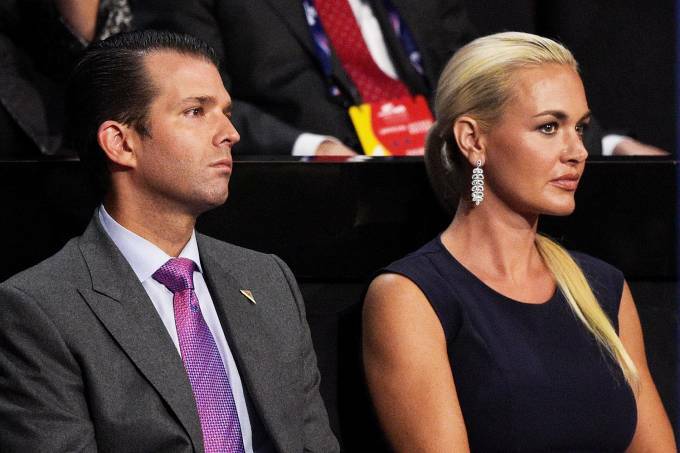 Vanessa Trump, a 40-year-old former model, does not expect to wage a legal battle over the custody of her five children and her assets. The two were married in 2005 at the Donald Trump estate in Florida, Mar-a-Lago, where the president also married Melania and used to spend his free days.